Caretaker manager Lee McCulloch came within seven minutes of leading Kilmarnock to a first victory over Aberdeen since 2012 before substitutes Jayden Stockley and Peter Pawlett turned the game on its head. Rory McKenzie's 41st-minute strike looked like it would be enough to end a run of 12 consecutive defeats against the Dons but Kilmarnock paid the price for failing to deal with two hopeful balls into the box as the visitors struck twice in two minutes to claim a 2-1 win. 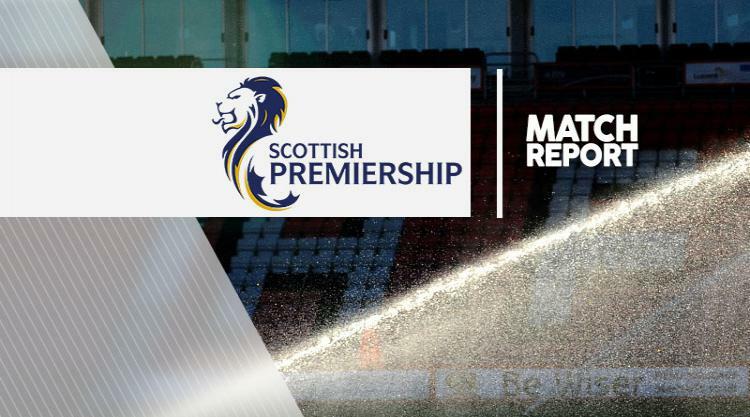 It was the second time in three Ladbrokes Premiership games that Aberdeen had won with two goals from substitutes and they had needed to mix things up after being contained for large periods of the game. McCulloch had vowed to keep the game plan Lee Clark had in mind before his departure for Bury on Wednesday and captain Steven Smith returned from injury in the only change from the team that drew at Dundee. But he tweaked the formation to match Aberdeen's 4-2-3-1 set-up and it had the desired effect of nullifying the visitors' threat. Aberdeen named the same team which put seven goals past Motherwell in midweek but their only real first-half chance came early on when Jonny Hayes got away from Greg Taylor with a tremendous flick before cutting inside another man and curling the ball to Niall McGinn at the back post. However, on-loan Newcastle goalkeeper Freddie Woodman did well to block at close range. Kilmarnock largely kept Aberdeen away from their penalty box in the opening half and took the lead with their first effort on goal. Taylor got the chance to cross from the left as Shay Logan failed to react to Mark Reynolds' clearance and the latter could only head the left-back's delivery to the foot of Jordan Jones. The winger cut the ball back for McKenzie to sweep home from 18 yards. Aberdeen had made a tactical switch at half-time with Graeme Shinnie replacing Reynolds. Hayes moved to left-back and McLean joined Adam Rooney up front. They had a let-off early in the second half when Conor Sammon went down under Ash Taylor's penalty-box challenge. The striker looked like he was playing for the penalty and referee Andrew Dallas was unconvinced. Kris Boyd came close with a speculative effort from 25 yards before McLean twice threatened from distance at the other end. Aberdeen were growing exasperated with some of Dallas' decisions as they struggled to find a rhythm to their attacking play and they made a double switch with 18 minutes left, while Hayes was restored to the left wing. Stockley soon had two penalty claims denied, the first for handball as he was prevented from heading home McGinn's cross by two defenders, and the second when he had his shirt ripped apart as Taylor stabbed wide from a corner. But the striker forced the ball home as Miles Addison tried to shield the ball back to Woodman and the Kilmarnock substitute soon suffered more agony when McGinn's cross bounced off him and fell for Pawlett. The midfielder's shot took a slight but crucial deflection off Addison and flew into the top corner to earn Aberdeen a ninth win in 10 matches.